Congratulations to Raymond Martin for winning Division 2 at the prestigious Burnside Invitation Pairs in Canterbury over the weekend. Ray was placed with Secondary Schools champ and NZ under 18 rep Cameron Bailey (Canterbury) by the NZ coach Dave Edwards for the three day tournament. 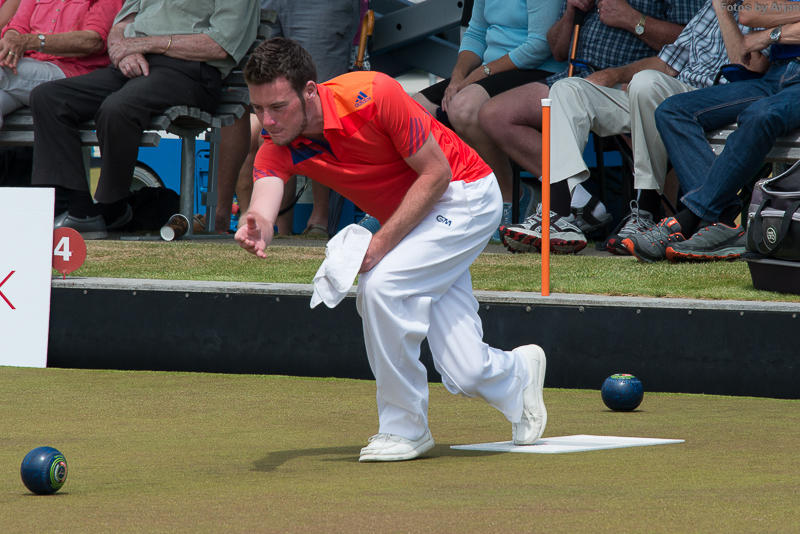 Incredibly five out of the six teams in their Section 7 ended with three wins out of five, however Ray and Cameron went through to Division 2 with the second best differential behind eventual tournament winners Dave Archer and Bob McAuley (Dunedin). From there, they went unbeaten through post-section and the Division 2 final handily beating Gary Watson and Murray Scott (Nelson) 15-4 with the opposition folding two ends early. Ray and Cameron picked up $300 each for their efforts.